Our Dutch office has established itself as a recognized specialist in financial risk management and risk technology. We are therefore hiring for an experienced manager who has the ambition not only to further grow in financial risk management and technology solutions but also contribute to the development and recognition of Zanders in Europe. Working knowledge of risk management systems such as SAS, Algorithmics and/or Risk Metrics and other related tools is preferred. Zanders is an international specialized consultancy firm advising global organizations within treasury management, risk management and corporate finance. Our clients choose us because of our specialist and trend setting ideas surrounding financial solutions. Our 150 colleagues work from our offices in The Netherlands, Belgium, United Kingdom, United States and Switzerland. 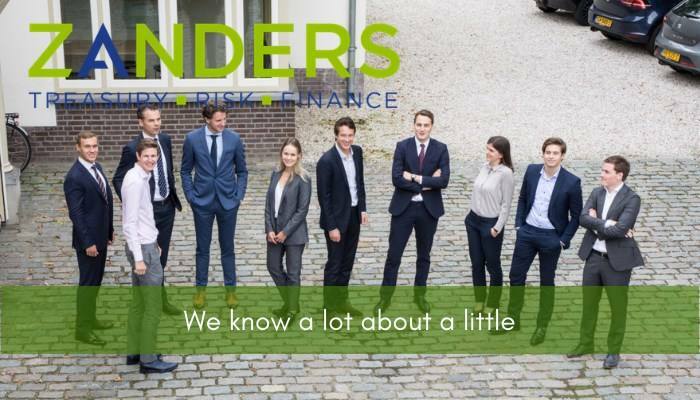 Please send your application for Manager: Financial Risk Technology at Zanders in Bussum including your CV via our website.